The JMSDF lets loose with another round of naval artillery fire and missile strikes as refugees on Dejima attempt to evacuate the island aboard makeshift rafts and boats. With Batou and Motoko the only remaining members of Section 9, Batou undertakes a risky sortie to Motoko's apartment to recover her hidden weapons cache. 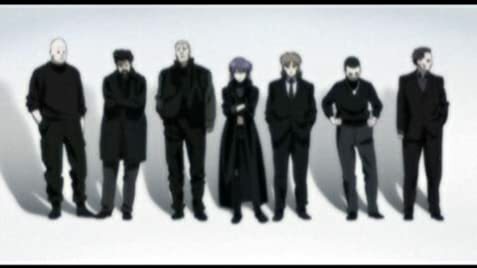 Section 9 is seeking for the fugitive doctor Imakurusu, however, they are not the only one. Netflix is Producing a New Ghost In The Shell Anime! 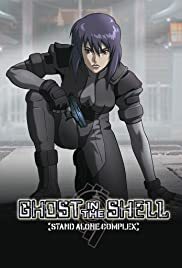 How many episodes of Ghost in the Shell: Stand Alone Complex have you seen? Major Motoko Kusanagi: Look at the bright side, if this doesn't work, we can all go drown our sorrows at a nudie bar. Q: What is the connection between this show and the two movies? Q: What year does this series take place?